National Council of Young Israel expresses support for Israel’s effort to bar entry to BDS activist Lara Alqasem. The National Council of Young Israel (NCYI) on Monday expressed its wholehearted support for Israel’s effort to bar entry to Lara Alqasem, a BDS activist who is facing deportation from Israel. Alqasem, a 22-year-old Florida college student arrived in Israel on October 2, with plans to study in a master’s degree program at the Hebrew University in Jerusalem. 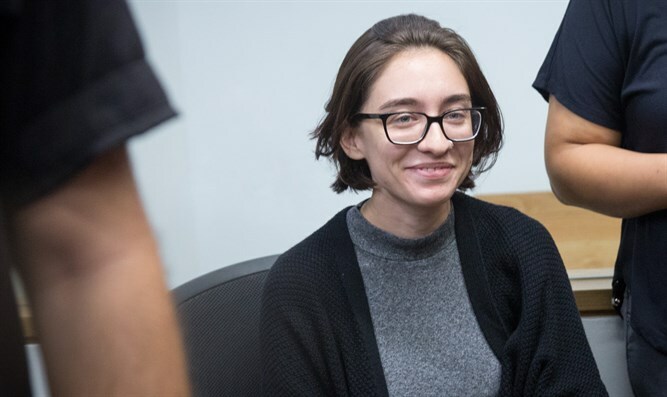 Upon her arrival at Ben Gurion International Airport, however, Interior Ministry officials refused to grant Alqasem entry, despite the fact that she had already been issued a student visa prior to her arrival. Public Security Minister Gilad Erdan (Likud) said Alqasem was an anti-Israel activist who had previously headed a branch of an organization affiliated with the BDS movement. During her undergraduate studies, Alqasem led the University of Florida chapter of the radical Students for Justice in Palestine organization (SJP). Israeli law prohibits border authorities from permitting foreign nationals who have openly supported the BDS movement to enter the country. Alqasem appealed the decision to bar her from entering the country, but the Tel Aviv district court upheld the ban in a ruling on Friday. On Sunday, the Supreme Court agreed to freeze the ban and hear Alqasem’s case. NCYI said in a statement that during her time as president of Students for Justice in Palestine at the University of Florida, Alqasem was involved in an event in support of Rasmea Odeh, a convicted terrorist who engineered a bomb plot in 1969 that killed two college students in Jerusalem who attended Hebrew University. The international working definition of anti-Semitism, which was adopted by the International Holocaust Remembrance Alliance in 2016 and is utilized by the US State Department, includes various anti-Israel activities, such as those employed by BDS activists in their quest to delegitimize the State of Israel. “The National Council of Young Israel is hopeful that the Israeli Supreme Court will uphold the government’s decision to expel Lara Alqasem in accordance with the 2017 Israeli law that allows the government to bar entry to foreign activists who support a boycott of Israel,” said NCYI President Farley Weiss. “Every country has the ability to regulate who can enter its borders and Israel should be no different in that regard,” he added.